A beautiful light Summer drink that anybody can make without special equipment. 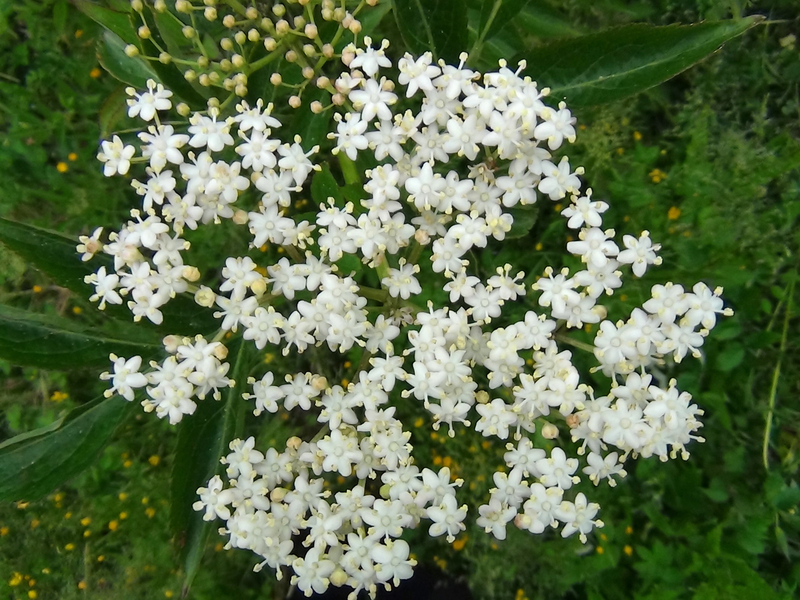 8 Large Elderflower Heads late in the season, or 12 Large Elderflower Heads when they first come out. 2 Table Spoons White Wine Vinegar. Put the Water, Sugar, Lemons (juice, zest and some of the lemon remains) and white wine vinegar in the bin and stir vigorously to get the sugar dissolving or heat the sugar with some water until clear and add. 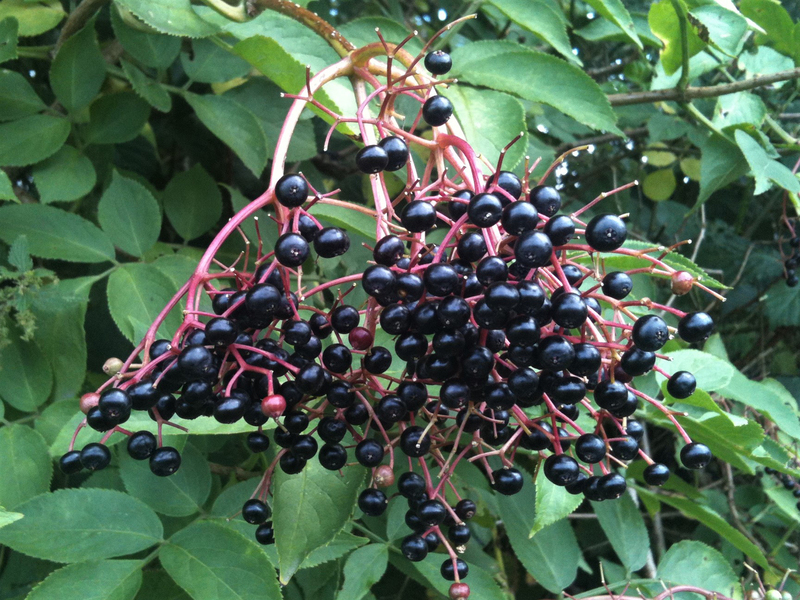 Then add the Elderflower heads. You should treat these heads as gently as possible until you get them in the water. Once in give it all another gentle stir, and cover with something that is not air tight. Stir well daily until all the sugar is dissolved unless you added the sugar as a syrup. After 3-5 days the mixture should start to get some mould growing on the top, normally starting around the floating lemon remains, don’t worry if this happens it is quite normal. Remove everything floating in the mixture with your (clean) hands. Then strain the mixture through a sieve and fine muslin to remove any bits. Finally line your funnel with the muslin and strain the liquid directly into plastic bottles or pass through a sieve lined with muslin into a separate container and then bottle. I make a small depression in the neck of the bottle before screwing the lid on tight. When the champagne starts to get fizzy the depression will pop out, showing you that it’s working. The pop should happen after around 3 days, and the champagne should be ready in roughly 2 weeks. It will still keep getting fizzier for up to 4 months though, so you may need to burp the bottles a couple of times if you keep it that long. 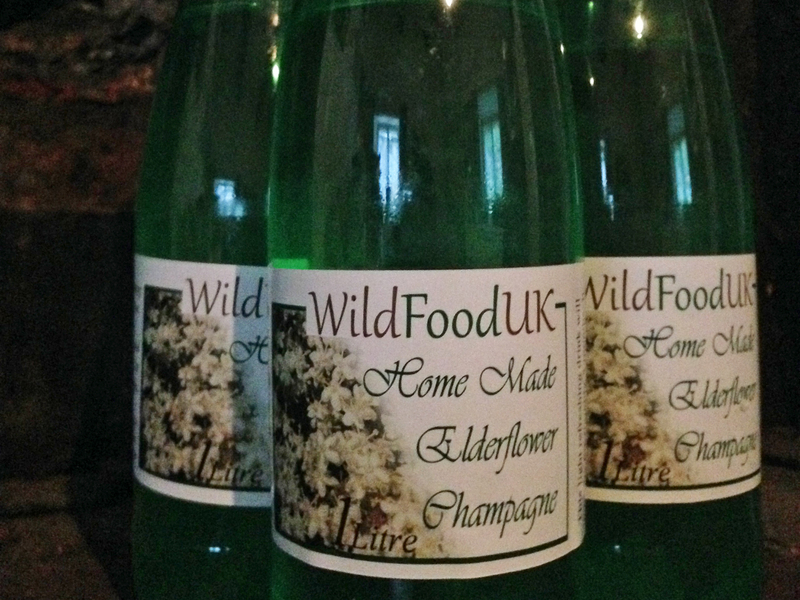 The fizz in elderflower champagne is generated by an active yeast which keeps going, so this means that half drunk flat bottles just need to be put back in the fridge for a couple of days and they will get fizzy again! This drink contains live alcohol and will continue to ferment in the bottle so it is best to finish this wine off before October/November.